Slow Robot A Go-Go Show 43 – Car Chase MANIA!!!! Tonight Dr. Morbius (from part unknown) and mOw came at ya with a power packed CHASE MANIA show. It was all Fonda ALL THE TIME with two crazy chase classics. Prior to our reviews we did our “TOP TEN MOVIE VEHICLES” list. Did any of your favorites make the list? Tune in to find out won’t you. Tonight Dr. Morbius (from part unknown) and mOw reviewed the soon to be cult classic “Rubber”. Prior to our review we did our TOP TEN B-MOVIE BABES list. 10 Adrienne Barbeau – Escape From N.Y. Slow Robot A Go-Go Show 41 – Galaxina AND The Crater Lake Monster? Yup, We’re that stupid! Tonight Dr. Morbius (from part unknown) and mOw reviewed a baby blue classic 2-fer. We start with “Galaxina” starring the beautiful and vapid Dorothy Stratten. I am not sure if she can act but she sure can stand there all she wants. 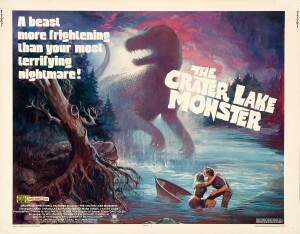 We then finish up the show with a “movie” called Crater Lake Monster. It is a movie in that there was a camera pointed at things and at times it was on. that is about all I can say, listen in as we review these glorious Bluray marvels. ah hell, here are a few more pics to sweeten the deal. i fought the sinister urge to put the many MANY pictures of Mrs. Stratton here. Slow Robot A Go-Go Show 40 – it’s an NFL SPECTACULAR!!!! Tonight Dr. Morbius (from part unknown) and mOw reviewed 3 classics brought to you by your friends and ours… the NFL. No, not the no fun league. Of course we are talking about the National Football League. See, in the past producers and directors thought “HMMMM I wonder what I can do to polish this turd of a movie?” Then BAMMMMMMM inspiration hit in the form of America’s favorite sport FOOTBALL (no, not soccer). So sit back, fire up the tailgate grill, pop open a frosty cold refreshment and enjoy all that is FILM MEETS THE NFL! All Hail Don King… I mean KING DON!!!! CAN YOU DIG IT SUCKAAAAAAA. 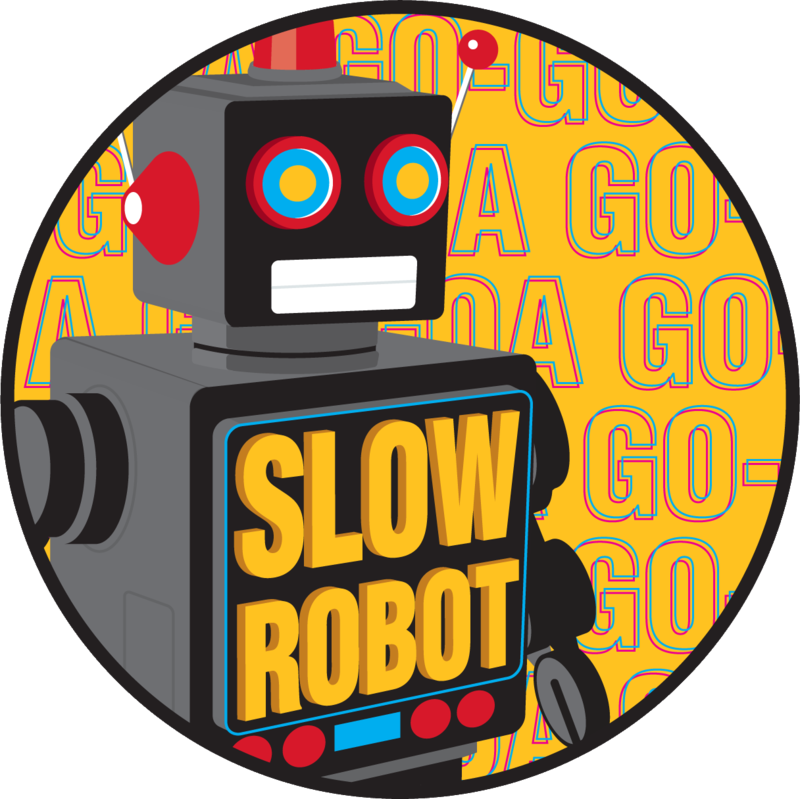 Long time friend Don flexed his awesome graphic abilities and created a LOGO for slow robot. Please make sure you check out their podcast at Two Dimentions Podcast Thank you don! today is truly a great day! Tonight Dr. Morbius (from part unknown) and mOw did the pinnacle of cold war shenanegoats ROBOT JOX. What can I say, we laughed, we loved, we crashed and burned (insert thumbs up fist bump here). Enjoy! Tonight Dr. Morbius (from part unknown) and mOw did the classic movie Star Wars, oh… of course I meant NOT Star Wars. I was of course referring to Star Crash not at all to be confused with Star Wars. Now I will post ALL the images that Dr. Morbius (from parts unknown) sent to me, I think he might have a thing for the heroine of this movie (Caroline Munro)? Again… I am NOT saying that Dr. Morbius (from parts unknown) has a slight torch for Caroline Munro but maybe? Yup, as men we grow up hearing tales of the Friend Zone. Just know the warning signs…. because FEW ESCAPE once they fall into the FRIEND ZONE. Yeah, this is a real thing. 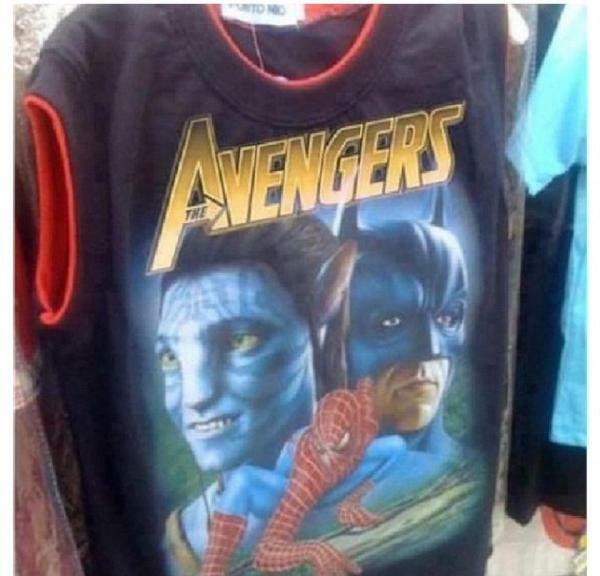 Remember that one part in the Avengers where the Avatar Navi came to help the Hulk fight Spiderman? Sure, we all do. Now you can buy the shirt that lets EVERYONE KNOW you saw that movie! Keep being you China, Keep being you! Slow Robot A Go-Go Show 37 – VERSUS SHOW… MOTORCYCLE STYLE!!!!!! Tonight Dr. Morbius (from part unknown) and mOw did another VERSUS SHOW. Tonight in the genre of Motorcycle Exploitation we squared off. Who hurt who worse? Listen and find out… lets just say there was deep hurting all around! Tonight Dr. Morbius (from part unknown) and mOw did another world famous VERSUS show. Enjoy the wacky times and the laughs we shared. Tonight Dr. Morbius (from part unknown) and mOw created a new show called “slow juke box a go-go”… okay not really but we did spend a good amount of time talking about yoko ono. 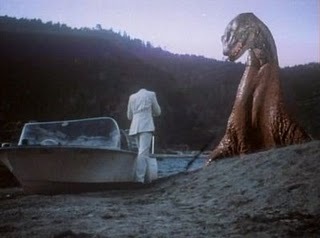 We talked about reality tv, reviewed what we watched then got into the Corman Classic The Pit And The Pendulum. A good movie with great production. Next week we have a VERSUS show… and it’s an ALL SKATE! Tonight Dr. Morbius (from part unknown) and mOw talked about The PURE AWESOME that is Trancers. Tim Thomerson… Helen Hunt and a wacky cast of misfits from the future round out this cast of characters. We laughed, we cried… it became part of us. join us won’t you, thank you. 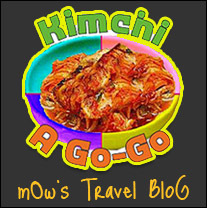 You are currently browsing the Slow Robot A Go Go blog archives for September, 2012.